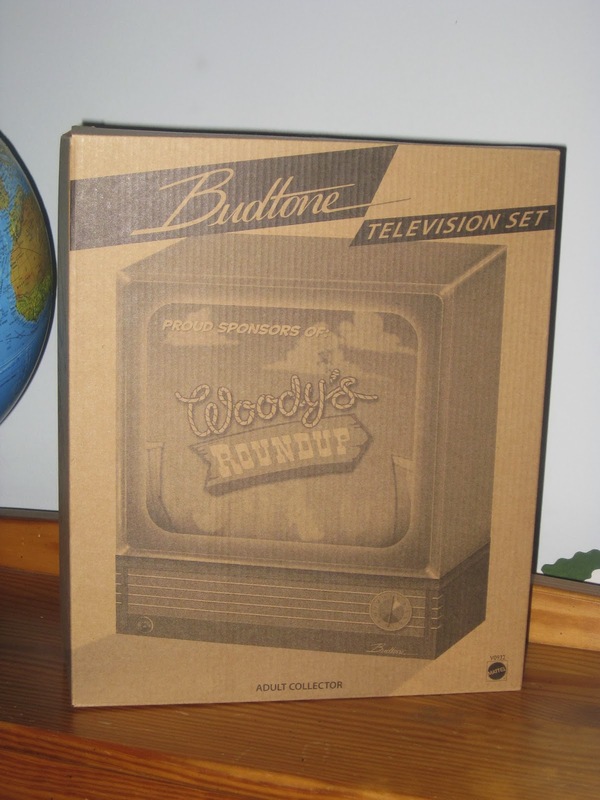 Here is the 2011 D23 convention exclusive Woody's Roundup Budtone Television set! 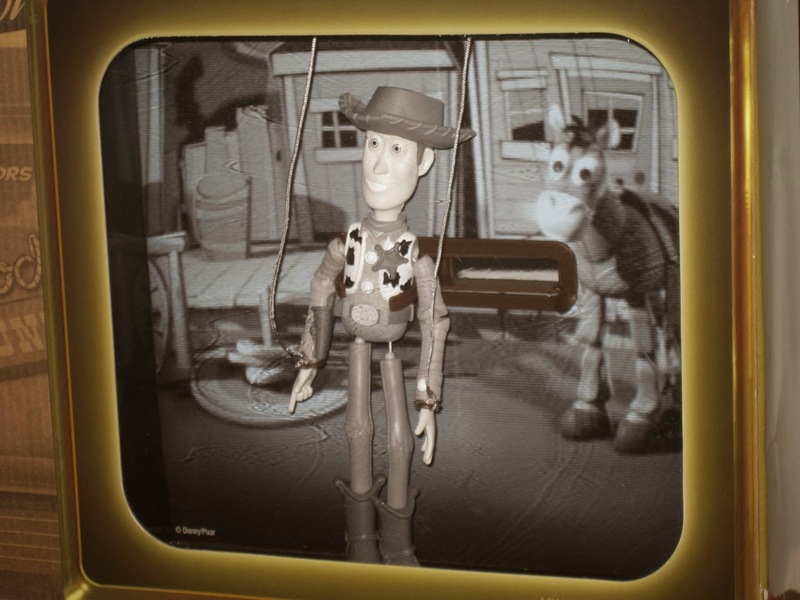 I absolutely love this one, it's such an awesome Toy Story 2 collector's/display piece! I never even knew about it (somehow) until last Spring. The box itself is fantastic and the retro style is what makes it really neat. 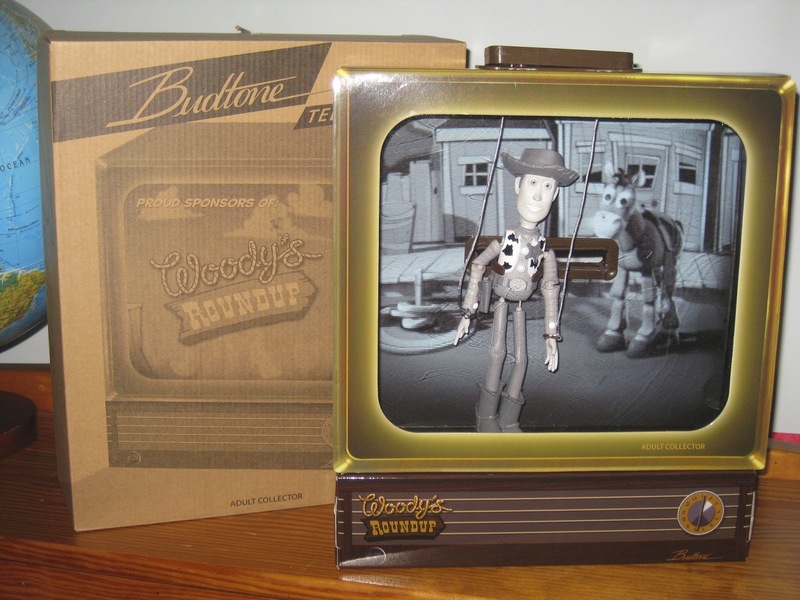 This item is for "adult collector's" (as seen on the box) and is made by Mattel. 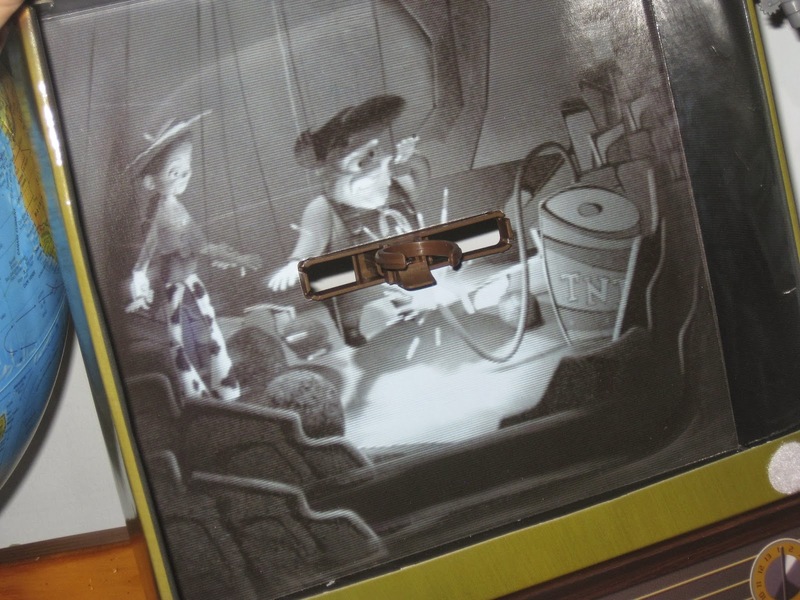 When you open it up, you find a vintage style TV (like the one seen in the film) made out of sturdy cardboard materials with a thin plastic screen. 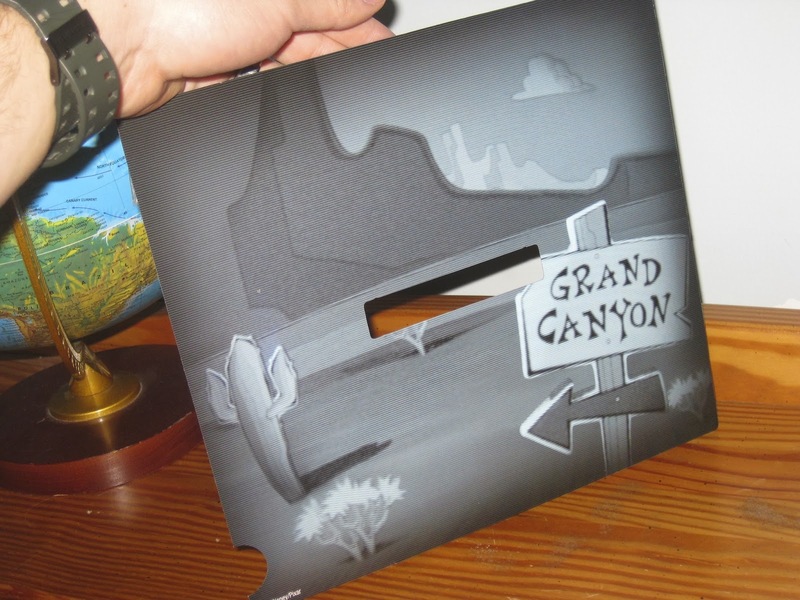 The frame around the TV is just held down by velcro and can be easily lifted up to adjust Woody and the backgrounds (more about this below) as needed. 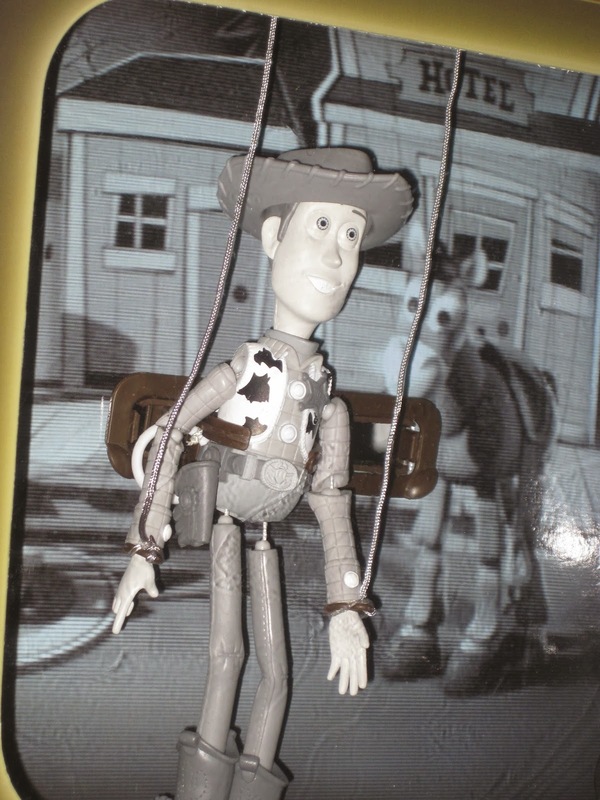 Inside is a real black and white marionette Woody (made from plastic) that you can control from the handle on the top! As mentioned, there are different backgrounds included with this set (three total). I thought this was a really cool touch! 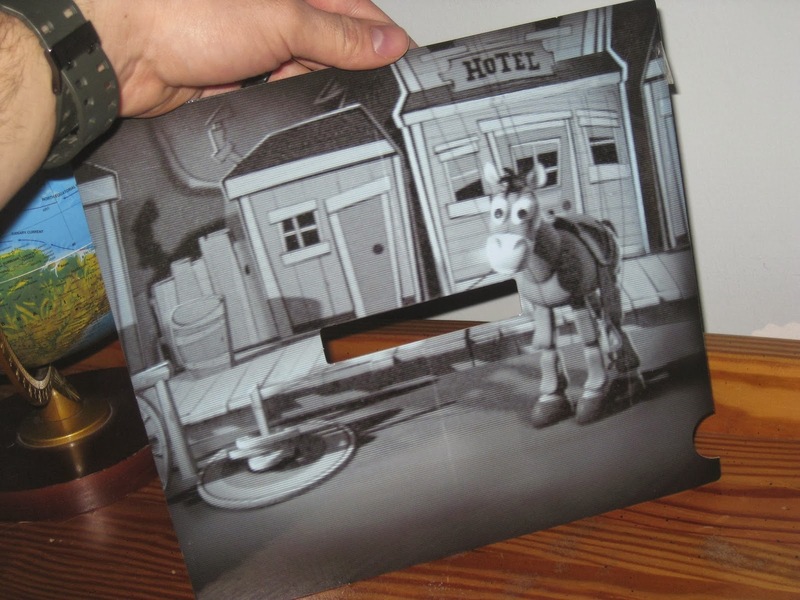 The two backgrounds above are removable and the third background below is printed on the actual inside of the box. If you've never seen this or never had a chance to get it, you're in luck! These sell on eBay still for very cheap prices. We're talking like $15-$25 usually, so head there if you want to snag one of these awesome collector's sets! 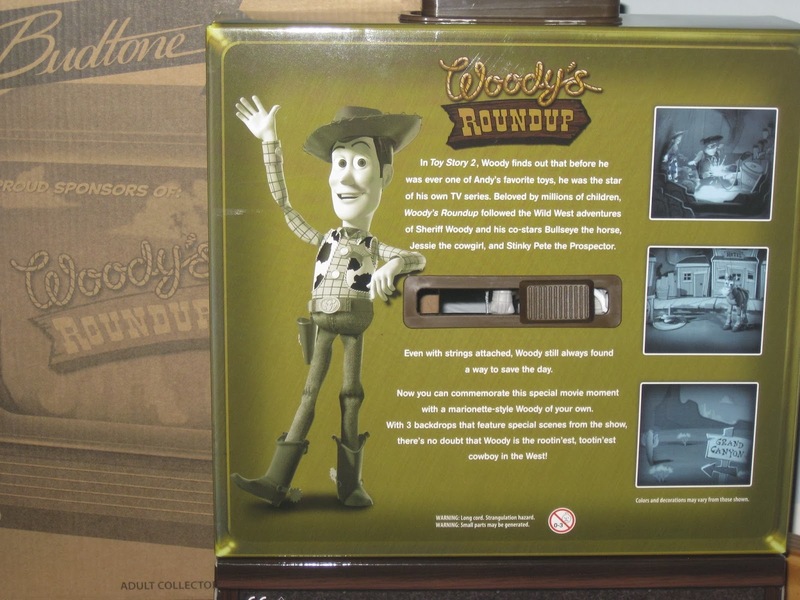 If you're a Toy Story fan, this is a must have. A BIG thanks to my wife Brita for getting me this for Christmas! She's always very supportive of my collection and I really appreciate it.